Since I saw Pacific Rim, I've endeavoured to keep up with NECA's excellent series of PR Figures as they churn out Jaeger after glorious Jaeger for my shelf. It looks like that journey will come to an end (at least until Pacific Rim 2!) next year with the release of Romeo Blue and a heavily damaged Gipsy Danger. 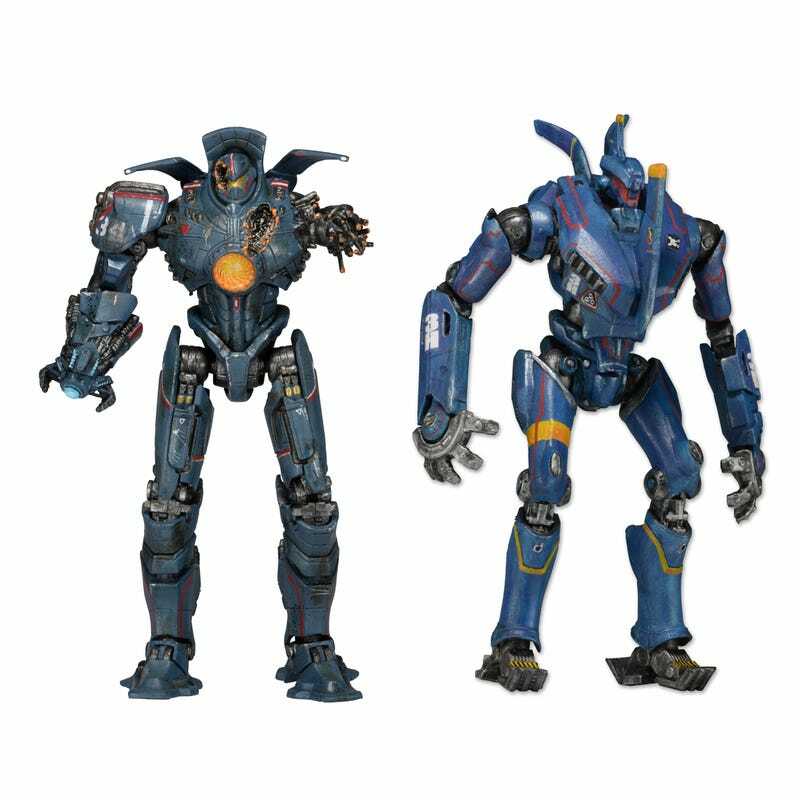 Romeo Blue, briefly seen in a news clip at the start of the movie, rounds out every Jaeger seen on screen in Pacific Rim for NECA's series (with Japanese Jaeger Tacit Ronin due out on shelves soon), is the 7th unique Jaeger in the line. Looking it as a toy has made me realise that the giant bloody blade sticking out of its chest seems like it'd get in the way of the pilot's vision in fighting, but you know what? Can't really complain about a giant robot that has a giant shard of mettle embedded in its chest for a weapon. That's just ridiculously good. Finally rounding out the Jaegers is another variant of Gipsy Danger, this time the version from the start of the movie that gets supremely duffed up by Knifehead. This 'Anchorage Attack' Gipsy is missing an arm, and the one it does come with has its Plasma cannon active (but it also comes with a 'normal' arm you can replace it with if you so wish). As with all of NECA's Jaegers, these figures are in 7" scale and feature 20 points of articulation, and will retail for around $20. I am oddly excited about being able to complete my Jaeger collection when these two come out in January next year.